If you aren’t yet familiar with Brian Jordan Alvarez, it’s time to play catch-up. 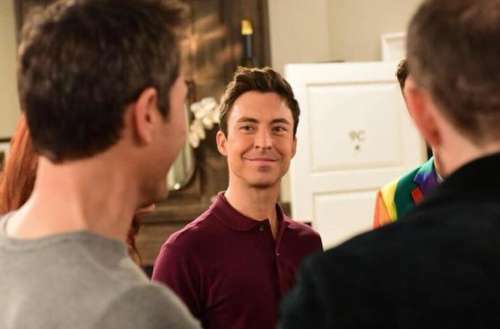 The openly gay actor, 30, has worked to make a name for himself in the realm of the internet’s funniest content, in addition to appearing on The CW’s Jane the Virgin and writing and producing his very own (critically acclaimed) web series, The Gay and Wondrous Life of Caleb Gallo. 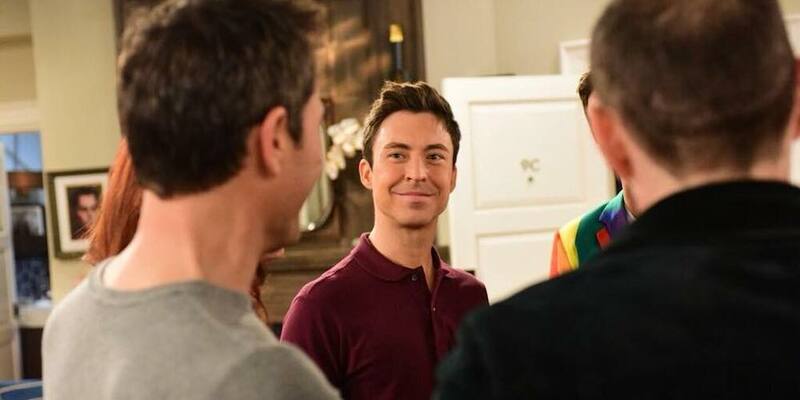 You also probably caught his hilarious guest spot on the April 5 season finale of Will & Grace, on which Alvarez portrayed flight attendant Estefan, the flighty new fiancé of Jack. 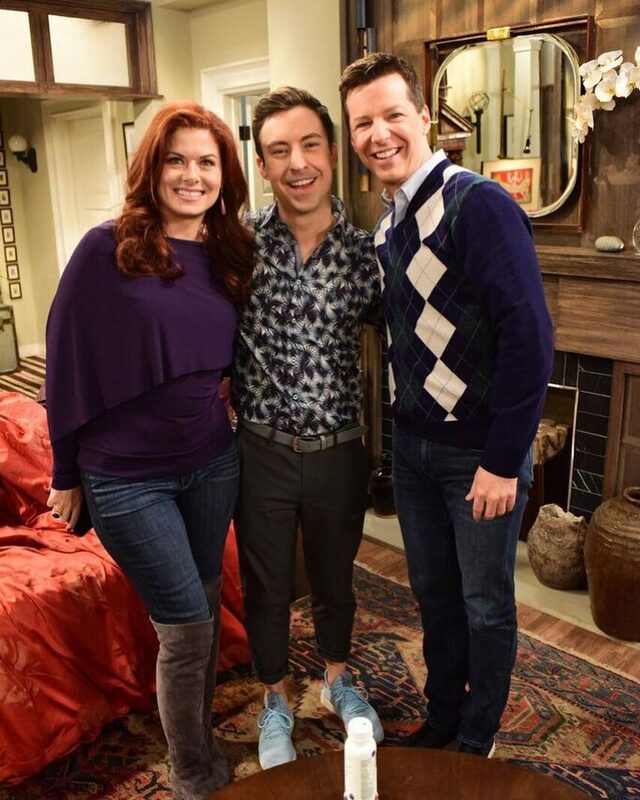 Alvarez can’t say just yet whether his character — who ‘popped the question’ to Sean Hayes’s Jack character in the finale’s last few minutes — will be back for the sitcom’s second post-reboot season. But his “hopes are high,” he tells us. Brian Jordan Alvarez is showing no signs of slowing down, and he’s treating us all to hilarity while being unapologetically open with respect to his sexuality. Much discussion has occurred around the idea that an actor looking to make it in ‘the industry’ can benefit by remaining closeted, but Alvarez is proof of the very opposite. 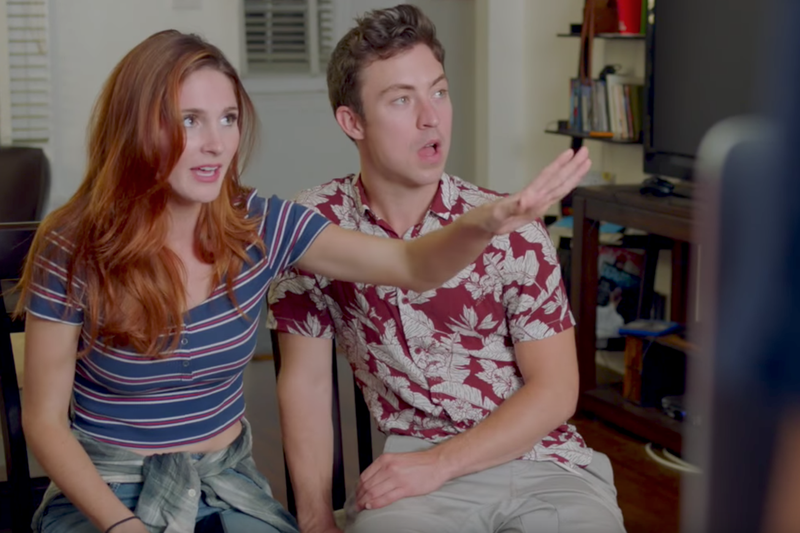 In addition to Caleb Gallo, all five episodes of which are available on YouTube, Alvarez also appears in the web series Stupid Idiots alongside his good friend Stephanie Koenig, who also writes, directs and edits. The latter series is currently being developed for television, and Alvarez says he’ll be shooting the pilot for Comedy Central in the coming months. Other in-the-works projects for Brian Jordan Alvarez include his debut feature, Everything Is Free, and a feature he tells us is coming soon called Grandmother’s Gold. For those who don’t want to wait for these upcoming projects to wrap-up, you can keep up with Alvarez on his YouTube page, currently boasting more than 150,000 subscribers, and his Instagram. Are you a fan of Brian Jordan Alvarez? Sound off in the comments.